Social media is often praised by brands for its ability to provide an outlet to connect with customers and engage their audience with their products. 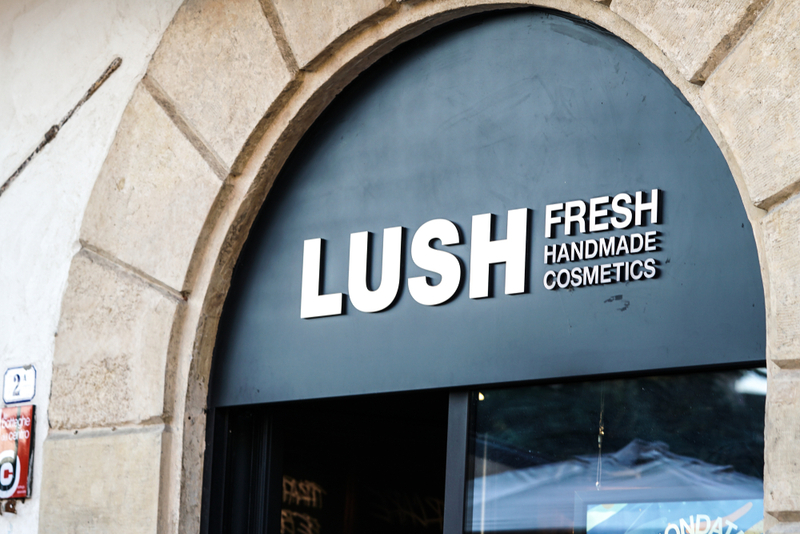 So when the news broke that the popular cosmetics company, LUSH, was deleting all of its social media accounts, many were confused. If you’re unfamiliar with Lush, they primarily sell bathing products like body washes, bath bombs, and face masks - and are well-known to have captivating Instagram posts. Many feel that this is an extremely high-risk move, especially in the current climate where companies are having more success through social media than ever before. While many brands have seen the true power social media holds for their business, Lush clearly doesn’t feel the same way. In fact, their reasoning for abandoning social media was that it was actually inhibiting their ability to engage with fans. In an Instagram post, Lush stated that they were tired of catering to constant social media algorithm changes to get in front of followers. "⁣Increasingly, social media is making it harder and harder for us to talk to each other directly. We are tired of fighting with algorithms, and we do not want to pay to appear in your newsfeed. So we’ve decided it’s time to bid farewell to some of our social channels and open up the conversation between you and us instead.⁣"
"We’re a community and we always have been. We believe we can make more noise using all of our voices across the globe because when we do we drive change, challenge norms and create a cosmetic revolution. We want social to be more about passions and less about likes.⁣"
"This isn’t the end, it’s just the start of something new.⁣"
Their statement was certainly shocking - but the main complaints cited aren’t anything new. Because of this, many brands have been frustrated with their posts not being shown to users, particularly because it feels like the platforms are making these changes to encourage more brands to pay for ads as a way of increasing impressions. Will This Be Good or Bad for Lush? This decision doesn’t feel especially off-brand for Lush. The company has built its brand on challenging the “norms” other cosmetics companies follow. For example, none of their products are tested on animals, and they are designed to use minimal packaging to reduce environmental impact. They also pride themselves on having all-natural ingredients in all of their products and no harmful chemicals. So, it’s not surprising that they would defy another norm that’s commonplace in their industry in order to make a statement. This, however, is a bit different. While being environmentally friendly can absolutely attract new customers, abandoning social media can prevent them from finding you in the first place. Additionally, while it’s true that it’s harder to gain news feed views organically, interested customers will absolutely still visit your profile when they want to learn more about your products - even if they are not already following you. There’s also a huge opportunity on Instagram to get seen more using Instagram Stories, which (at this time) ensures your profile will show up at the top of Instagram regardless of algorithm changes. So, while I do understand Lush’s frustrations - I’m not sure if abandoning platforms with massive followings (570,000 on Instagram, 200,000 on Twitter, 400,000 on Facebook) will benefit them in the long run. Personally, I’m skeptical that this decision will have the anticipated payoff Lush is looking for. However, this will be an interesting experiment to watch play out: How much value is social media really driving? If Lush returns to social media in the near future, it will be a clear sign that brands (especially cosmetic companies) do drive benefits from having a social media presence. On the other hand, we may find that Lush is having more success creating a meaningful community outside of social media. And if that’s the case, it may start a new trend for what’s to come for brands. In any case, it’s clear that social media is changing. Brands need to adapt their strategy in order to get found. Having posts that drive comments, engagement, and likes is the best way to ensure the algorithms remain in your favor. (It’s actually funny because all of the buzz their announcement has generated on social media probably garnered Lush enough engagement to now show up organically in followers’ news feeds). So, while I’m not optimistic about their decision, I think what will happen because of it, either good or bad, will speak to the role social media has for businesses in the future.